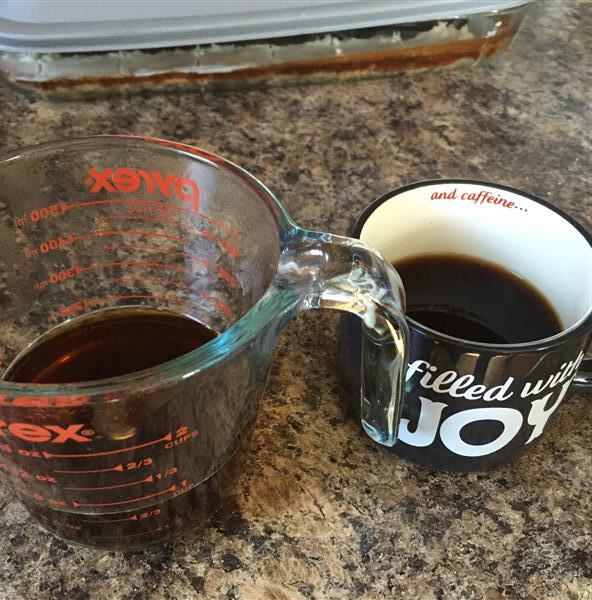 First step: Make coffee. 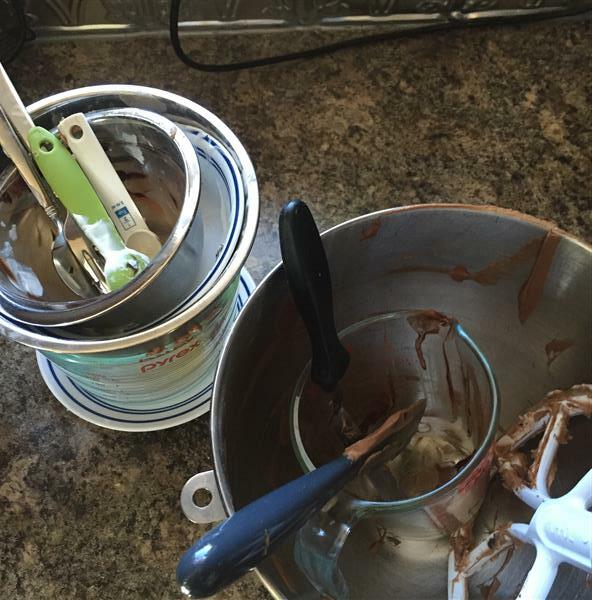 This reminds me of my mom’s chocolate version of her basic cake recipe. I think Rose and my Mom would really get along. 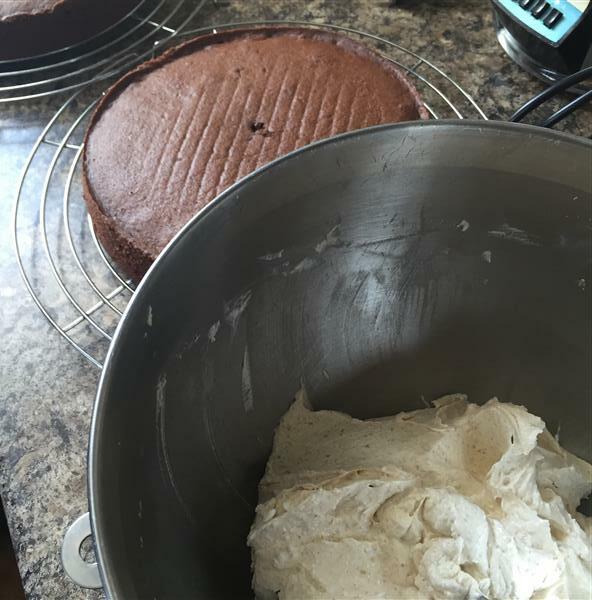 Mom developed her own basic yellow cake recipe, many years ago, with 2 variations: spice cake and chocolate cake. The chocolate version has a cup of hot coffee in it, just like this one. One for me, one for the cake. 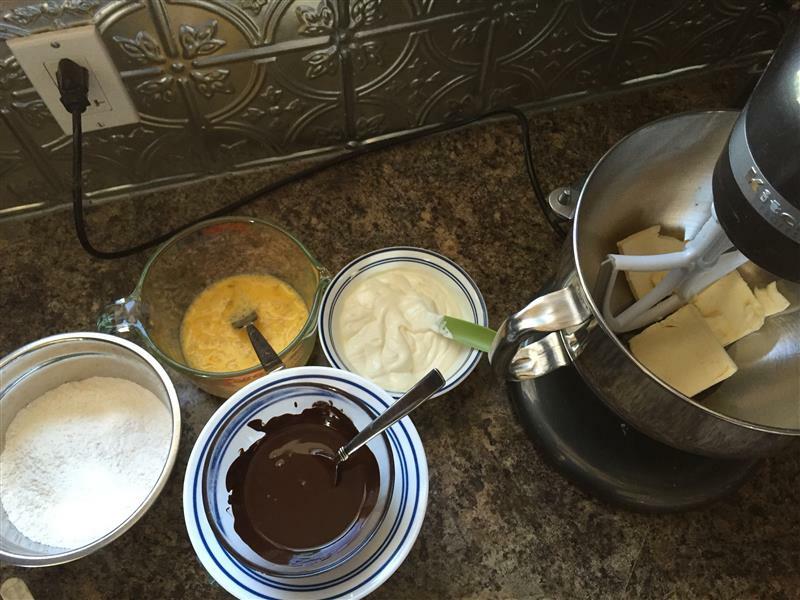 The next few steps involved measuring and mixing various ingredients. This cake is fairly far off Rose’s normal butter cake methods, so I actually had to pay attention, and it made a lot more dishes than I was used to. Cream together the butter and sugar.. somewhat like a normal cake recipe, but rather different from Rose’s. She has you adding the butter to the flour & sugar mixture. I over baked the cakes a little bit. When the timer first went off, they were still gooey in the middle, so I put them back in for 5 minutes. Then about 10 minutes later, I wondered why it hadn’t beeped yet. Forgot to hit “Start.” Oops. As I said, I made the first step to the pecan sandies as the frosting for this. I figured it was worth trying. The result is an unusual crunchy frosting, with some great flavours. I think if I did this again, I’d mix together the sugars and salt as a sugar syrup, and turn it into a somewhat standard buttercream, somehow. On the other hand, this is truly unique, and I like the little hits of crunch I get from the turbinado sugar, and little spots of salt, too. Very salted caramel, but only good in small doses – I’m glad I did a very thin coat. The cake itself was fantastic. Moist, chocolatey, and held together well. I’m not sure which would win when placed side by side with my Mom’s, which is high praise. On a side note, this past weekend, I was inspired by a friend to dig through some old folders full of sheet music from my high school band days. In one of them (??? 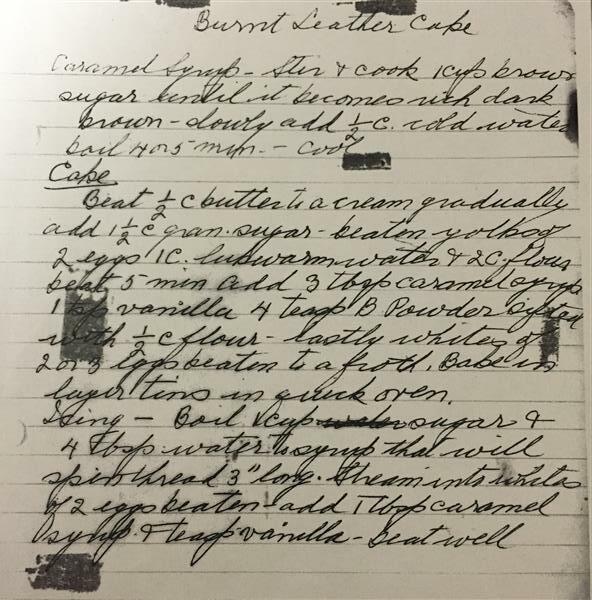 ), I found this photocopy of my great-grandmother Elleda Wightman’s hand-written recipe for “Burnt Leather Cake.” ❤ I’ve made it at least once before, but it’s been a long time. I suspect the frosting is a distant relative of the caramel buttercream that was supposed to accompany this cake. I’m thinking it’s time to “modernize” the recipe and try it again. 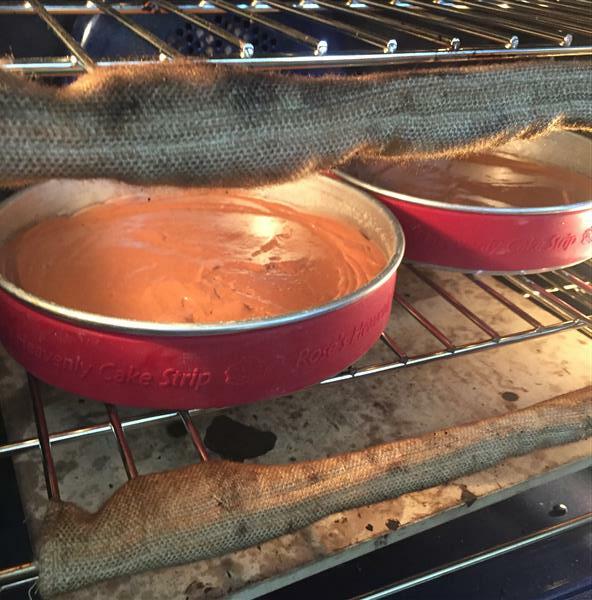 Posted on March 29, 2016 by KristinaPosted in The Baking BibleTagged burnt leather cake, chocolate cake, salted caramel. 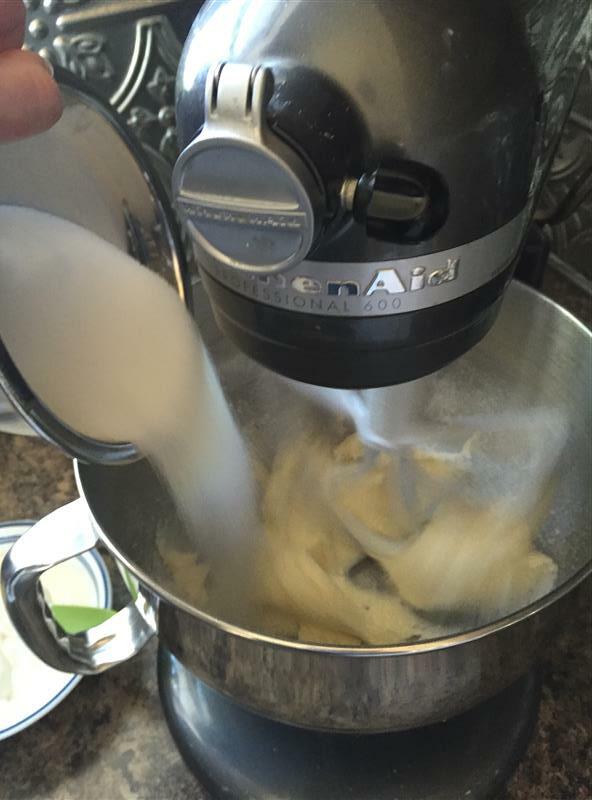 Your great grandmother’s recipe is a great find! 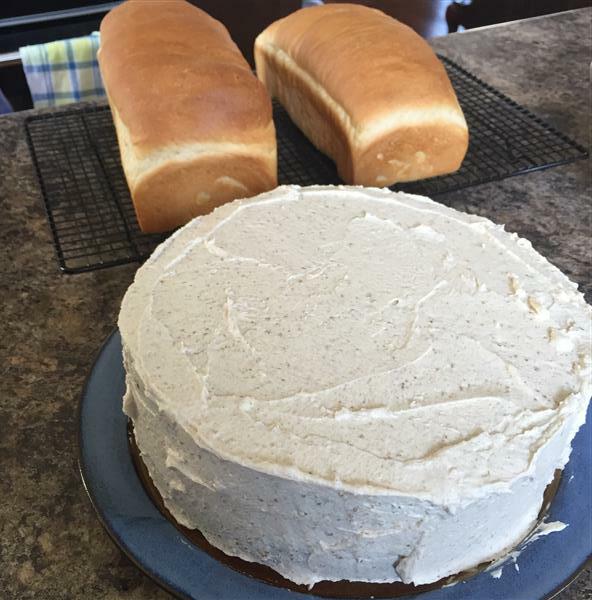 I can’t believe you made this cake and bread, too. Your cake looks lovely. Kudos to you for creating a new frosting. I imagine it would be pretty sweet with the cookie mix as frosting but the mix of flavours would be nice with the choc cake. Burnt leather cake sounds interesting too – you have to wonder how the cake got its name.